I’m sure you noticed that the Neopian Times has reached its five-hundredth issue. It’s plastered all over the walls, after all. Five hundred issues really makes you think, doesn’t it? Think about the first time you read an issue of the Neopian Times. Maybe a friend told you about Neopets, and you opened up an issue to learn more about the world. Maybe you stumbled across the site at random, thought a website with its own newspaper was a super cool concept, and settled down to read. Maybe you only started to read the Neopian Times after chatters told you that the Editorial was a great place to look for rules clarification. Whatever your story, it’s definitely the case that the Neopian Times has been a vital part of your Neopian life. In this article, I hope to take a close look at all the ways that the Neopian Times has enhanced our Neopets experience over the years. Care to take a seat and ponder over what the past five hundred has meant to us all? The lightest exposure possible to the Neopian Times is sitting down once a week to read the Editorial. Now, if you’re as slow of a reader as I am (and I admit, you’re probably not), that amounts to a five-minute time investment once a week. That doesn’t seem like very much, does it? Why, the Neopian Times can’t impact your life at all if that’s all the time it takes out of your week, can it? But those of you who read the Editorial habitually know that’s not the case. Sure, reading the Editorial teaches us about all the intricate nuances of the rules, and how best to follow and apply them. It informs us of any decisions TNT make to change the rules quickly and clearly, and that’s probably why most of us started reading in the first place. Certainly, no one can dispute the value of having TNT, the rule makers themselves, clear up details that confuse us players. The Editorial, we’ve found, provides knowledge, laughter, and the warm fuzzies that come from knowing TNT are real human beings who care about our questions, concerns, and jokes. We’ve already found some great stuff, and we’ve only explored one section of the Times! Let’s turn the page and see what else is inside, shall we? The furthest link to the left on the Neopian Times homepage is one that reads, “Articles.” Unlike a real newspaper, the Neopian Times’ articles aren’t actually a fantastic source of news. There do tend to be trends within the articles selected – for instance, a lot of people tend to write about new games or topics the site in general is thinking about a lot. Browsing through the articles for general topics is consequently useful if you want to get a general bead on what Neopians are thinking about and doing at any given time, but they’re not a source of late breaking revelations. The area in which the articles really excel is in offering useful help, timely guides, amusing essays and opinion pieces on every topic in Neopia. If you don’t already read this section on a weekly basis, you really ought to. You never know when a guide will help you get a new high score in a game, or expose you to a site feature you’ll wish you’d discovered sooner. And even if guides aren’t your thing, you’re certain to laugh out loud at least once while reading something in that section. And speaking of laughing out loud, who could forget the comics section? 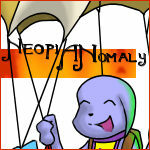 If you haven’t taken time to click around the Neopian Times comics (and really, why haven’t you? It only takes a few seconds to click at random and read a comic strip), today’s the day to start. Really! Just click on over and scan over a few comics. I’ll wait. See? Great, isn’t it? I’ll bet you ran into jokes that made you roll your eyes, groan, giggle, and perhaps even drop your jaw in a "I didn’t know jokes could be that sick on Neopets" way. Maybe you even ran into some beautiful art. Regardless, I’m betting you didn’t regret clicking over. The comics section really is a great time killer, particularly when you don’t know how much time you’ll have on the computer, and don’t want your reading or writing or whatever else you could be doing interrupted. Nothing I can think of comes in such small and pleasing doses as Neopian Times comics. The last and final appeal of the Neopian Times is its ability to furnish the reader with loads upon loads of quality, Neopets-themed literature. Of course, the appeal of fiction is easy to see: daring adventures, intriguing heists, and surprisingly dark tales of horror abound in the Neopian Times. But the Neopian Times story section offers more than great fiction set in Neopia. Many of the stories in the Short Story section are veritable monologues. Stories featuring sections of angry letters to Dr. Frank Sloth or discontented rants of the Kass from Kass Basher happily find their home in the Neopian Times. Even if you don’t have the attention span for fiction, seeking out those stories is fantastic for a laugh. If you’ve been overlooking the fiction in the Neopian Times because you fear they’re all about fluffy Cybunnies and Wockies hugging Gelerts, you’re going to be pleasantly surprised once you dig into the more traditionally structured stories in the Times. Neopia’s a dark world, if you choose to see it. Terror Mountain’s chilling frosts, the dark depths of Maraqua, and the Haunted Woods are common settings for stories, and nothing is ever all smiles. Of course, if you want smiles (and who doesn’t? ), that’s always there as well. You only have to read to see the variety of work and the skill of the writers who produce it. Once you get onto the fiction-reading bandwagon, it’s just one click further to the Series section of the Times. Not only does this section provide all the perks of the Short Story section, but it allows for more character development and intricate storylines – real, quality, engrossing stuff! And let me tell you, waiting a week for the next installment provides the reader with a delightful sense of anticipation between issues, and an inescapable joy upon every Friday’s release of the Neopian Times. Alright. We’ve looked through all the sections, poked around in all that the Neopian Times serves up, again and again, every week. And what have we seen? Warm fuzzies, humour, drama, and intricate character interactions. Beautiful art, contact with the site creators, and true and useful knowledge. To be honest, I can’t imagine a better, more fulfilling paper. No matter what you want to read or who you are, there’s something for you right inside these pages. 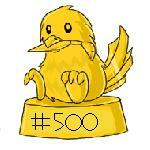 And with issue 500, we’re celebrating years of this quality publication being made and read by Neopians everywhere. After reading this article, the reason for the excitement should be even easier to see. Do join me in wishing the Neopian Times another brilliant 500 issues, and make sure to check back next week for even more great work from your fellow Neopians. Don’t be averse to singing a verse! 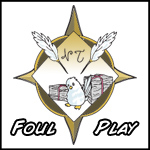 Foul Play! - Neopian Times in the Altador Cup? What happens when Altador Cup Teams break the rules? Find out!